Hard Work and Perseverance Leads to rewards! The light at the end of the tunnel is always discovered through hard work and perseverance! When the effort is not in vain, it "Hurts So Good!" Many of the books I have either written, or are presently writing, are about motivational subjects that are near and dear to my heart. I Never Thought being a "collegepreneur", "Parenting Special Needs", "Co-Teaching", "Teaching Autism", and "Adults Returning to School" Would Hurt So Good are in publication and are soon to come. ANYTHING WORTH HAVING HURTS SO GOOD TRYING TO ACHIEVE! Hard work, focus, and perseverance leads to rewards, which makes it "Hurt So Good!" Why did I start Hurt So Good Publishing and Productions? Anything worth having requires hard work, focus, and perseverance, which leads to rewards. The light at the end of the tunnel makes it “hurt so good”. 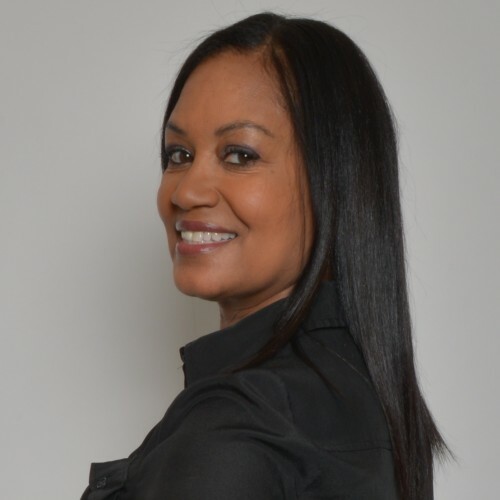 I am an author, teacher, speaker, educational consultant, businesswoman and parent. I have been a self-published author since 2005. I have been a public school teacher in Atlanta, Georgia for over twenty-four years. I have written motivational books and articles about various topics, such as college survival, careers, parenting, special needs/disability services, team-building, teaching, and healthy living. I give high-energy, motivational speaking engagements and training to schools, nonprofits and corporations. My first book, I Never Thought College Would Hurt So Good! Is about college survival. I wrote the college book with the intention of motivating students to attend and finish college or trade school. It is important for teens to understand that they should plan for their future so that they will not always have to depend on their parents. This book is quite suitable for high school sophomores, juniors, and seniors that are college or trade school bound. It is also good reading for college students. Many of the books I have either written, or are presently writing, are about motivational subjects that are near and dear to my heart. I Never Thought being a "collegepreneur", "Parenting Special Needs", "Co-Teaching", "Teaching Autism", "Diversity in the workplace", "Team-building", and "Adults Returning to School" are soon to come. I give speaking and training engagements on diversity in the workplace, team building, as well as a various topics relevant to school systems and nonprofits. ANYTHING WORTH HAVING HURTS SO GOOD TRYING TO ACHIEVE! Hard work, focus, and perseverance leads to rewards, which makes it "Hurt So Good!" Teaching students with and without disabilities, from the ages of 1 to 18, is my passion. I am a parent of a special needs child. I earned a bachelor’s degree from Georgia State University, a master of education degree from the University of West Georgia and an Education Specialist degree from Clark Atlanta University. In December of 2011, I earned a doctor of education degree at Argosy University of Sarasota, Florida. I am a member of the National Education Association, Association for Supervision and Curriculum Development, Professional Association of Georgia Educators, Council for Exceptional Children, Atlanta Business League, and Georgia Association of Educational Leaders. I recently served on the board of directors for one of my Alma Maters, University of West Georgia. Find out more about Ms. Hurt So Good-Hard Work&Perseverance at http://www.drpamelajewell.net.